Most of us think of a hack saw for cutting metal only. Most of the time it is, but there are times when a razor saw blade is just too fine or a larger saw is just too coarse. Because this saw has a 24 tpi blade (1/32" kerf), it cuts metal well, but it's also handy for cutting plastic, wood dowels and other hardwood items. 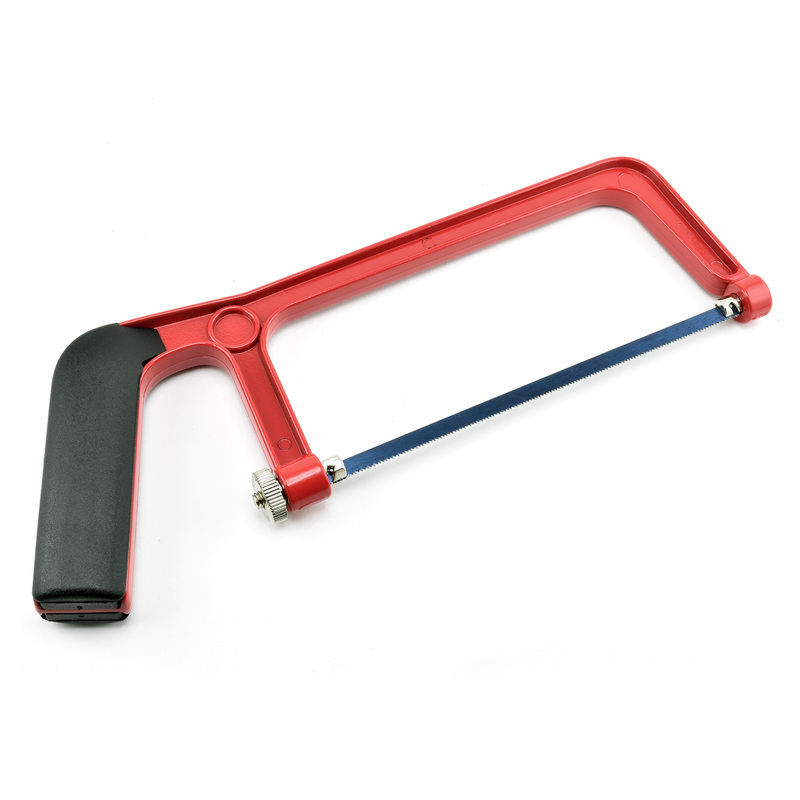 Handle is comfortable to hold and use without fatigue. Knurled tension knob makes blade changes quick and easy. Made of steel and cast aluminum. Holds standard 6 inch pin-end blades (#60684, available separately). Made in Taiwan.